For review of all books in this series: Go here. Recommendation: A young adult fantasy novel involving Gods, Demi-Gods, Prophecies, Quests and Ragnarok - thoroughly entertaining and very enchanting. A few flaws here and there yet a decent read for those young adults. The Ship of the Dead is the third and final book in the Magnus Chase and the Gods of Asgard trilogy by Rick Riordan based on Norse Mythology, published in October of 2017. The story continues six weeks after the events in the second book, The Hammer of Thor, with more adventures around demi-god Magnus Chase, and again written in first-person narration form. In this sequel, Magnus Chase and his friends set about to re-capture Loki before he wreaks more havoc on the world. At the end of the previous book, I realized that Annabeth Chase is in fact the same one whom we met in Percy Jackson series and the spin-off The Heroes of Olympus series (which totally eluded me until then). And we also see that Annabeth Chase was going to bring Percy Jackson and meet with Magnus Chase so he can get trained better for his next adventure. That is where this plot begins. For review of all books under Ghostwalker series: Go here. Recommendation: A world of computers, love and family - what can go wrong, except an evil eye following these brave GhostWalker Men and Women who once again face it and come out winning. 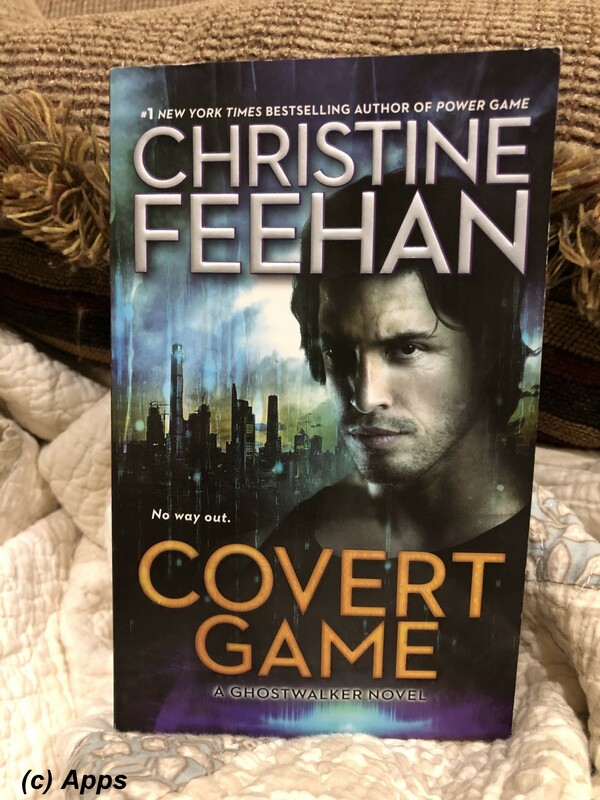 Covert Game is the fourteenth book in the GhostWalker Series by Christine Feehan published in March of 2018. The central plot revolves around Gino "Phantom" Mazza - member of GhostWalker Team Four - and Zara Hightower - one of the orphan girls from Dr. Whitney's Group Four. This book also marked the 75th book by Christine Feehan, a remarkable achievement by Christine. GhostWalkers are a group of women and men who are sent on special missions. They have enhanced psychic and physical abilities along with genetic modifications, using in some cases not just human genes but all kinds of animal and plant genes. However every GhostWalker would need an "anchor" to draw back the psychic backlash. They are complex characters trying to live with their enhanced abilities and at the same time fight against the corrupt people around them, executing their missions successfully. There are a total of four teams of GhostWalker Men serving in various areas of law enforcement and armed forces and four groups of Orphan Girls on whom Dr. Peter Whitney had experimented. He has paired each of his GhostWalker men with the women in the hopes to breed the next generation of GhostWalkers. Recommendation: A young adult fantasy novel involving Gods, Demi-Gods, Prophecies, Quests and Ragnarok - a good sequel, but felt a little bit dragging at some places. 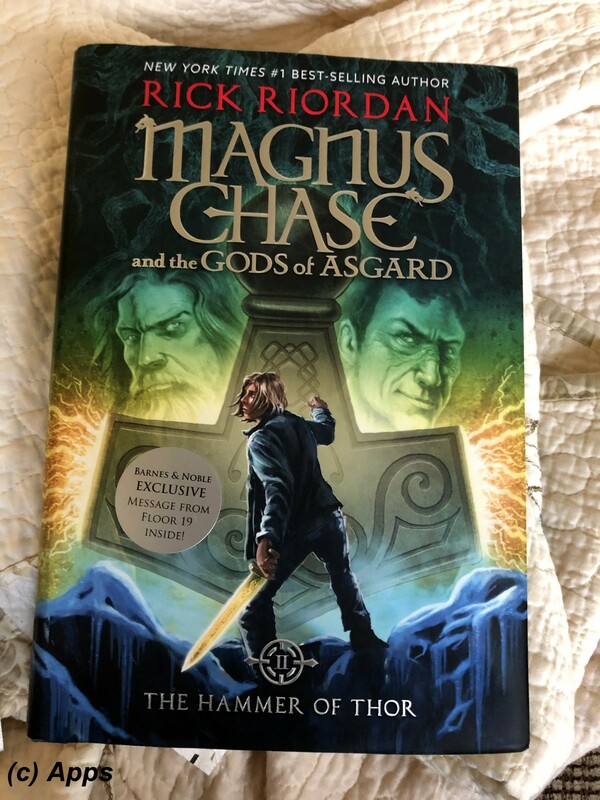 The Hammer of Thor is the second book in the Magnus Chase and the Gods of Asgard series by Rick Riordan based on Norse Mythology, published in October of 2016. The story continues six weeks after the events in the first book, The Sword of Summer, with more adventures around demi-god Magnus Chase, and again written in first-person narration form. 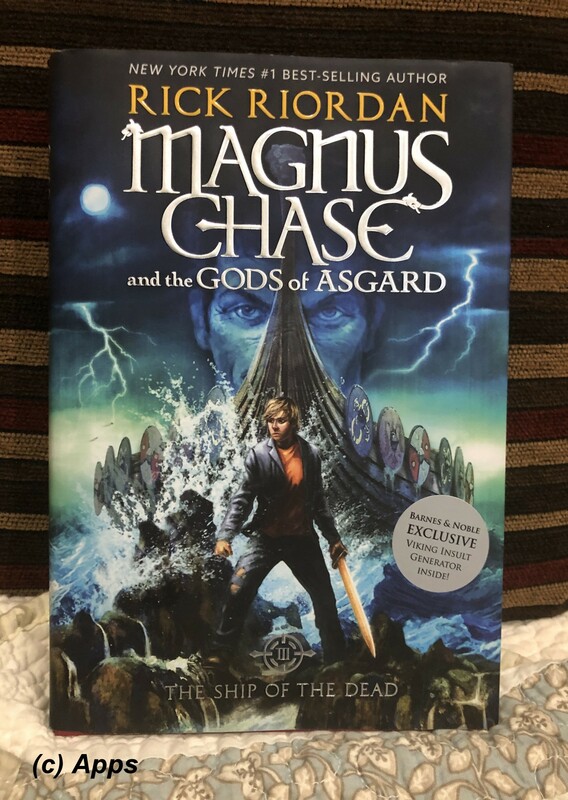 In this sequel, Magnus Chase is now on a hunt to find the Hammer of Thor that has gone missing. Similar to the first book, Riordan has a diverse variety of characters, some carried forward from the first book and some added new. The book won the 2017 Stonewall Book Award for Children's literature. After healing from his wounds from his war with Fenris Wolf, Magnus Chase is again on a new adventure. He and his friends - Samirah "Sam" al-Abbas, a Valkyrie; Hearthstone, a light elf and Blitzen, a dwarf - set about to find the missing Hammer of Thor. An adventure that takes them across the Nine Worlds again, having them fight some giants and evil gods, all along trying to stay safe and alive. Recommendation: The existential journey is evoking, but the other parts that come with it become insignificant at times or make the reader lost in the ramblings of the author and his characters. Yet it managed to leave a lingering taste at the back of my tongue. Pick it up at your own risk, but I neither enjoyed it nor felt satisfied with it despite the lingering feeling. 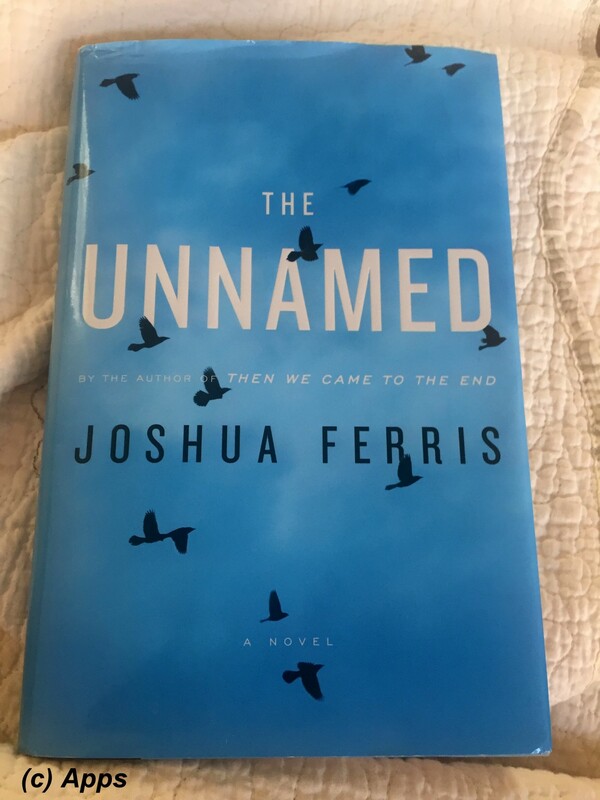 The Unnamed is the second book by American writer Joshua Ferris, published in January of 2010. The plot basically revolves around the lives of Tim Farnsworth, his wife Jane and daughter Becka. It is set in New York City. Tim Farnsworth is a successful lawyer living in New York City with his wife Jane and teenaged daughter Rebecca "Becka". His life is in blissful mode only for one little thing, his urge to keep walking and keep on going. Despite the numerous treatments and advices he takes from various doctors, modes of medicines and psychiatrists, his urges don’t reduce. Joshua continues the rest of the book in showing how someone with a disease with no cure and name copes, how their family faces the challenges and how ultimately in the end everyone are affected. Recommendation: A book that gives one to look within themselves as well as their own goals; understand their true self, while learning the world around that has been made by an unseen hand; and giving the reader his or her own Personal Legend. You want to find yours, pick this book to find a way. 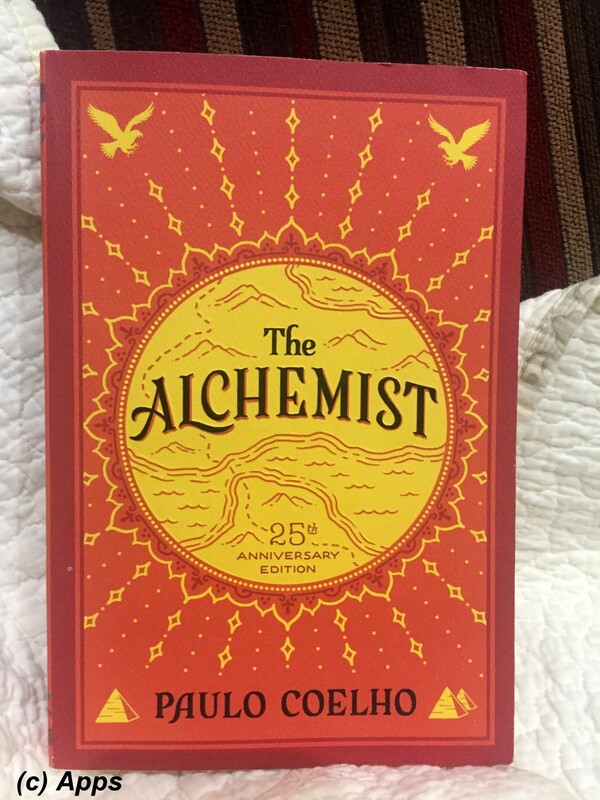 The Alchemist is a 1988 novel by Brazilian author Paulo Coelho, originally published in Portuguese and later translated internationally into various languages. The plot follows a young shepherd who is on his journey to the Pyramids of Egypt in search of a treasure that he keeps seeing in his dreams. A very dear friend of mine gifted me for Christmas in 2017. I had read this book a few months thereafter, but couldn't put my pen to paper (in this case typing on my keyboard into the computer) to write a review about it. There is so much in it, and it means different for every person, depends on what the reader is seeking from it. Again this is another kind of fiction I don't normally read. However, this was on my list to read for a while. So well, finally I penned the review and here you go. Recommendation: Mythology, History and the everlasting theme of good vs evil between Super powers and Gods / Demi-Gods - all packaged into this clever little plot with teenagers again at the helm of saving the worlds. 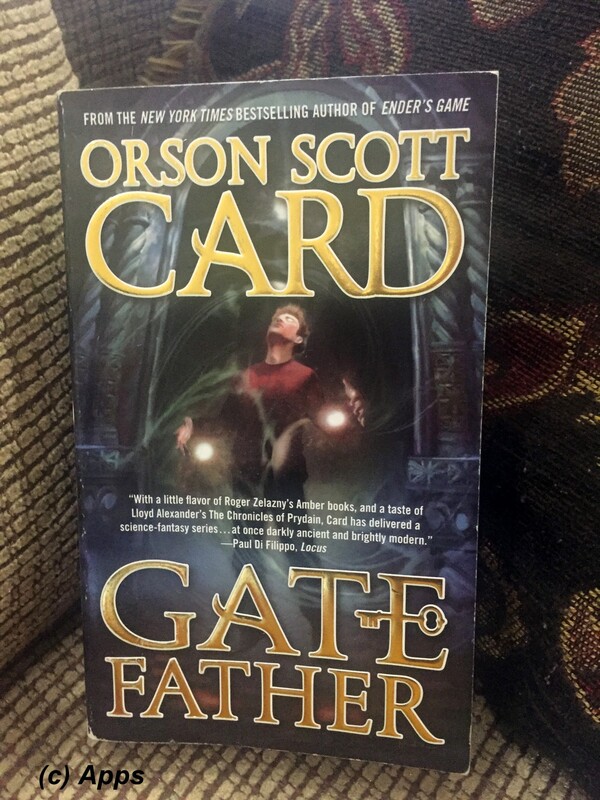 Gatefather is the third and final book in the Mithermages trilogy written by Orson Scott Card and published in October of 2015. The story picks up where the previous book, The Gate Thief, ended, revolving around Danny North, the Gatefather and Wad, The Gate Thief. Thinking he had outsmarted the Gate Thief aka Wad, Danny North, the demi-god, hadn't known what he was opening up the worlds - both Earth and Westil - to. Yet in his naivety he ends up inviting the biggest and strongest evil into his life, literally and figuratively, despite Wad's efforts to thwart Danny's plans. Arrogance on both of their parts has now put Earth and Westil on peril. That is where the third book in the series picks up. With friends turned to foes while family ready to chop off his head; Danny North is in a situation that as a reader I couldn’t fathom a teenager to be in. Being a Gatefather doesn’t necessarily absolve Danny of his mistakes. So now Danny North along with his few drowther friends - humans on earth - starts his next adventure in the series which sends them across a path that just might cause war between worlds; and Danny might just be in the center of everything. Recommendation: A thriller with gorier, girttier parts, but metes justice at the end to the monsters causing crimes all over; definitely for a strong heart and mind who can wade through the story-line. Deliver Us From Evil is the second book in the A. Shaw Series by David Baldacci published in April of 2010. The plot is centered around Shaw and Regina "Reggie" Campion - two covert operatives working for two different independent organizations whose sole purpose is to weed out and hunt down the most notorious criminals and monsters, sometimes hiding under sheep's skins. A friend of mine loaned me another of David Baldacci book to read; she is the same one who had originally introduced me to Will Robie series by Baldacci. Since I had liked Will Robie series, trusting my friend's judgment on the book again, I picked this one to read as well. The target is a multi-millionaire Evan Waller who is considered monster, but there was not a thing to prove for any government to take action on him. Both Shaw and Reggie are independently assigned to the case of accosting Evan and making that day his last day on earth. Neither are aware of each other's missions, and yet they strive to achieve their goals. Recommendation: Definitely a pick if you like fantasy fiction involving vampires, archangels, angels, super humans and humans. 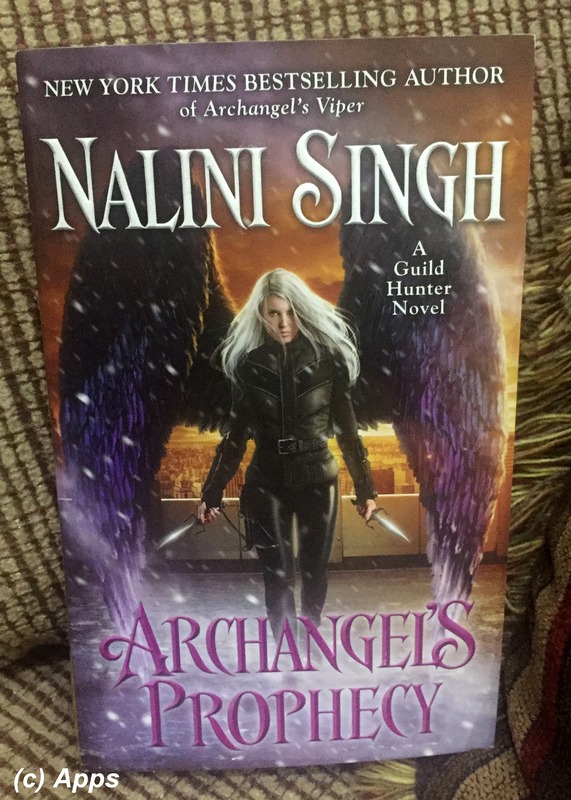 Archangel's Prophecy is the eleventh book in the Guild Hunter series by Nalini Singh released in October of 2018. The story-line of the series comes back to Raphael - Archangel ruling North America - and his consort, Elieanora "Elena" Deveraux. The stories in this series are set in a world where it is ruled by Archangels with Vampires, Angels and Humans with extra-ordinary powers as their team serving them. One of the powerful Archangels is Archangel Raphael who rules North America from The Tower in Manhattan, New York along-side his consort – Elieanora "Elena" Deveraux and his Seven. There are nine other Archangels who rule the different regions of the world. They are immortals who have lived thousands and thousands of centuries and rule the world filled with Angels, Vampires, Guild Hunters and Humans. The plots in the series primarily revolve around Archangel Raphael, his consort Elena and his Seven. It has been two and a half years since the last resurgence in The Cascade, a phenomenon where a power-surge would occur among the archangels ruling the world as well as cause random cataclysmic occurrences. Elena fears that it may very well be happening again, when her routine hunt of a rogue vampire turned into the very vampire being sucked into a sink-hole filled with lava. Recommendation: Yes, I would say pick it up, for a dose of reality through the eyes of people who have seen life with hardships yet find their zone and live on. 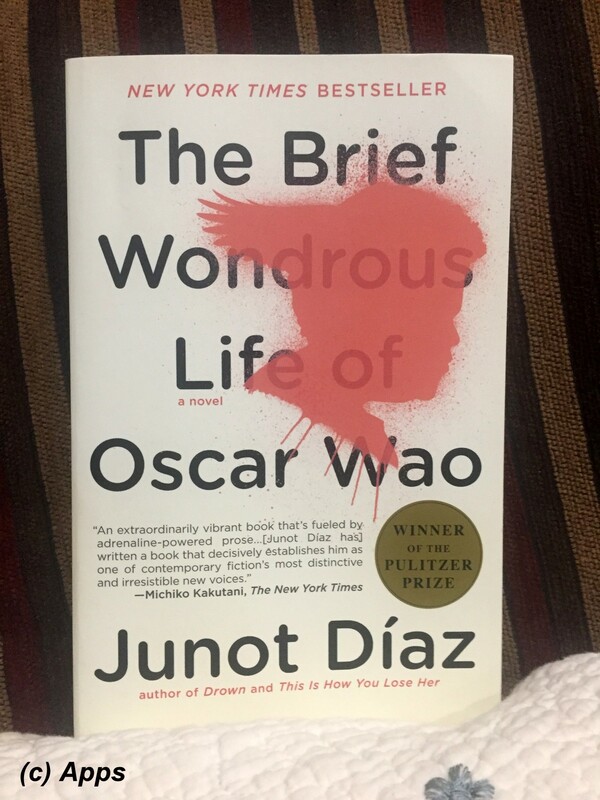 The Brief Wondrous Life of Oscar Wao is a 2007 novel written by Dominican American author Junot Diaz. Published in September of 2007, the novel is primarily set in Paterson, New Jersey, in the mid-seventies to late-eighties, chronicling the life of Oscar De Leon and also about the curse that has been plaguing his family for generations. The novel won the author a Pulitzer Prize for Fiction and National Book Critics Circle Award in 2008, among other awards. Oscar De Leon aka Oscar Wao, is a Dominican American overweight boy, who is a nerdy guy always lost in his books of science fiction and fantasy novels. All he ever wants is a person to love, find true love. Apart from being obsessed with these, he is also obsessed with the curse that has been plaguing his family for generations, fuku. The entire plot is narrative style with narrations given by many characters in the book, some as first person narration by that character or second person narrative about the main character through that character's view point. It floats between New Jersey in US and Santo Domingo in Dominican Republic, between past and present - as much as present the book is set in. Recommendation: Yes, pick it up for a mystery involving paranormal elements, historical flair and the romantic side of the plot. Echoes of Evil is the twenty sixth book in the longest series, Krewe of Hunters, by Heather Graham and published in September of 2018. The primary plot is centered around Brodie McFadden - the third and last of the McFadden brothers, an ex-military turned PI - and Dakota "Kody" McCoy - owner of a museum, Haunts and History Museum, related to history of Key West. The plot is set in Key West, FL, right after the events in Pale as Death. This book forms the third and final book in the next trilogy by Heather Graham, which she has set around the McFadden Brothers, who are ex-military turned private investigators; first book being Fade to Black; second being Echoes of Evil. In the beginning Heather had plots for each of the Krewe of Hunters as team members were introduced. But from the 9th book onwards, she has made those plots into trilogies within the series, that either revolve around the same set of characters or characters flowing from one book to next in the trilogy with new lead characters added. 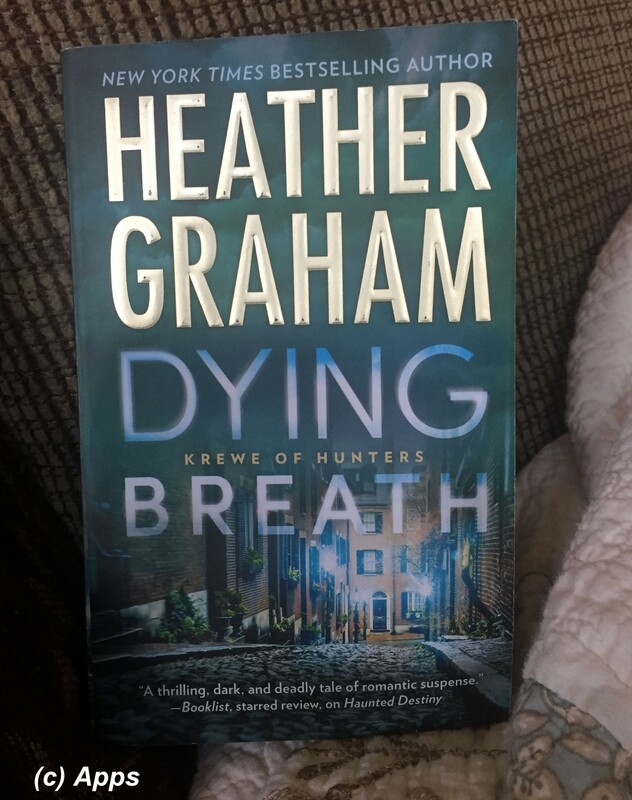 Pale as Death is the twenty fifth book in the longest series, Krewe of Hunters, by Heather Graham and published in July of 2018. The primary plot is centered around Bruce McFadden - the second of the McFadden brothers, an ex-military turned PI - and Sophie Manning - Homicide Detective at LAPD. The plot is set in Los Angeles, CA and is set after the events from the previous book Fade in Black. This book forms the second book in the next trilogy by Heather Graham, which she has set around the McFadden Brothers, who are ex-military turned private investigators; first book being Fade to Black. In the beginning Heather had plots for each of the Krewe of Hunters as team members were introduced. But from the 9th book onwards, she has made those plots into trilogies within the series, that either revolve around the same set of characters or characters flowing from one book to next in the trilogy with new lead characters added. Fade to Black is the twenty fourth book in the longest series, Krewe of Hunters, by Heather Graham and published in May of 2018. The primary plot is centered around - Bryan McFadden - an ex-military and current Private Investigator - and Marnie Davante - actress in a cult TV Show. The plot is set in Los Angeles, CA. This book forms the first book in the next trilogy by Heather Graham, which she sets it around the McFadden Brothers, who are ex-military and now working as private investigators. In the beginning Heather had plots for each of the Krewe of Hunters as team members were introduced. But from the 9th book onwards, she has made those plots into trilogies within the series, that either revolve around the same set of characters or characters flowing from one book to next in the trilogy with new lead characters added. This book forms the third and final book in the fifth trilogy within the series, the first being the previous book Dying Breath followed by Dark Rites. In the beginning Heather had plots for each of the Krewe of Hunters as team members were introduced. But from the 9th book onwards, she has made those plots into trilogies within the series, that either revolve around the same set of characters or characters flowing from one book to next in the trilogy with new lead characters added. Dark Rites is the twenty second book in the Krewe of Hunters series by Heather Graham and published in July of 2017. The plot again centers around Victoria "Vicki" Preston - working with a private charity called Grown Ups helping kids in foster care system - and Griffin Pryce - FBI Special Agent from The Krewe of Hunters, but with a new case again set in Boston, MA. This book forms the second book in the fifth trilogy within the series, the first being the previous book Dying Breath. In the beginning Heather had plots for each of the Krewe of Hunters as team members were introduced. But from the 9th book onward, she has made those plots into trilogies within the series, that either revolve around the same set of characters or characters flowing from one book to next in the trilogy with new lead characters added. Dying Breath is the twenty first book in the Krewe of Hunters series by Heather Graham and published in May of 2017. The plot centers around Victoria "Vicki" Preston - working with a private charity called Grown Ups helping kids in foster care system - and Griffin Pryce - FBI Special Agent from The Krewe of Hunters. The plot is set in Boston, MA. This book forms the first book in the fifth trilogy within the series. In the beginning Heather had plots for each of the Krewe of Hunters as team members were introduced. But from the 9th book onwards, she has made those plots into trilogies within the series, that either revolve around the same set of characters or characters flowing from one book to next in the trilogy with new lead characters added. Her First trilogy consisted of the ninth book The Night is Watching; the tenth book The Night is Alive; the eleventh book The Night is Forever. Second trilogy consisted of the 12th book The Cursed, 13th book the Hexed and 14th book The Betrayed. Third Trilogy consisted of the 15th book The Silenced, 16th book The Forgotten and the 17th book The Hidden. Fourth Trilogy consisted of three books set on Celtic American Cruise-Line ships - 18th book Haunted Destiny on Destiny, 19th book Deadly Fate on Fate and 20th book Darkest Journey on Journey. Recommendation: Cop Drama Series mixed with Psychology, Romance, Irish History, Family Matters and of course the crazy killers - all elements perfect for a Heather Graham mystery with the infamous law & order type theme; but for one frustrating element. 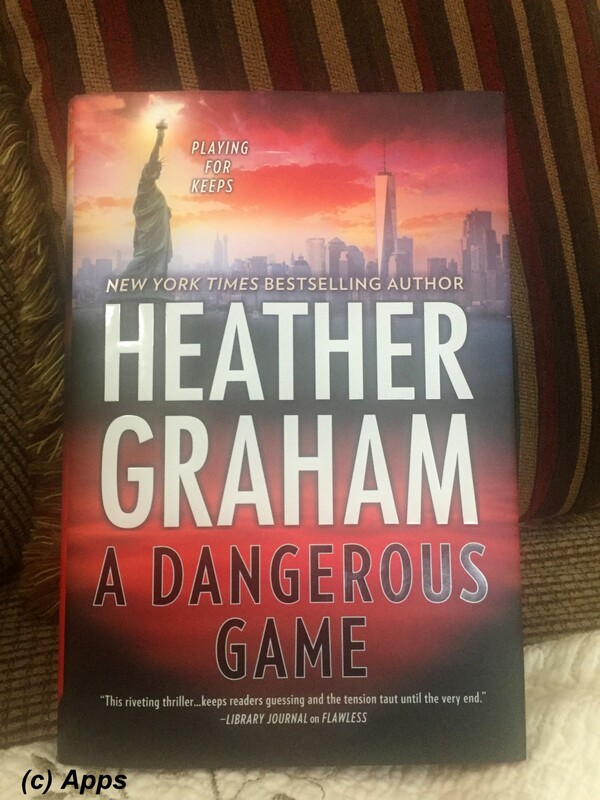 A Dangerous Game is the third book in the New York Confidential series by Heather Graham published in March of 2018. The series revolves around the Finnegan family, specially Kieran Finnegan, a psychologist working with law enforcement as needed, and her boyfriend FBI Special Agent Craig Frasier who work together to solve some gruesome crimes. This plot is set approximtely a year after the previous book, A Perfect Obsession. In this installment of the series, Heather sets a plot that practically lands into the hands of Kieran Finnegan, literally and figuratively. A woman thrusts a baby into Kieran's hands and rushes off only to be stabbed to death on the streets in broad daylight, soon after. Now Kieran is obsessed with the baby and the murder of that woman. FBI Special Agent Craig Frasier has no other choice but to be part of the investigation lest Kieran takes upon herself to pursue on. But little do either know that the case takes on a sinister turn, stops being just a murder and becomes a giant beast that keeps growing and the terrors mounting. Recommendation: Yes, pick up the series for a mystery involving paranormal elements, historical flair and the romantic side of the plot, sometimes giving shivers and sometimes just thrills. 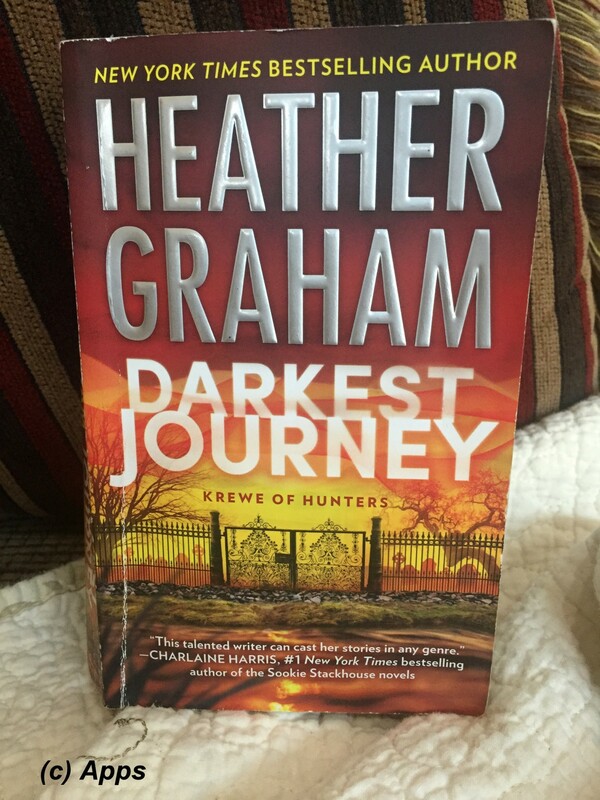 Darkest Journey is the twentieth book in the Krewe of Hunters series by Heather Graham and published in September of 2016. The plot centers around Charlene "Charlie" Moreau - an up and coming actress - and Ethan Delaney - FBI Special Agent with The Krewe, the first team. The plot is set in St. Francisville, Louisiana and extends to New Orleans too, aboard the historic Celtic American Cruise-Line, the Journey. It is set right after the events in Deadly Fate. This book forms the third and final book in the fourth trilogy within the series - first book being the Haunted Destiny and second book being Deadly Fate; with each book in the trilogy set on a cruise ship belonging to Celtic American Cruise-Line company. This one is set on the cruise ship called, Journey. First trilogy consisted of the ninth book The Night is Watching; the tenth book The Night is Alive; the eleventh book The Night is Forever. Second trilogy consisted of the 12th book The Cursed, 13th book the Hexed and 14th book The Betrayed. Third Trilogy consisted of the 15th book The Silenced, 16th book The Forgotten and the 17th book The Hidden. 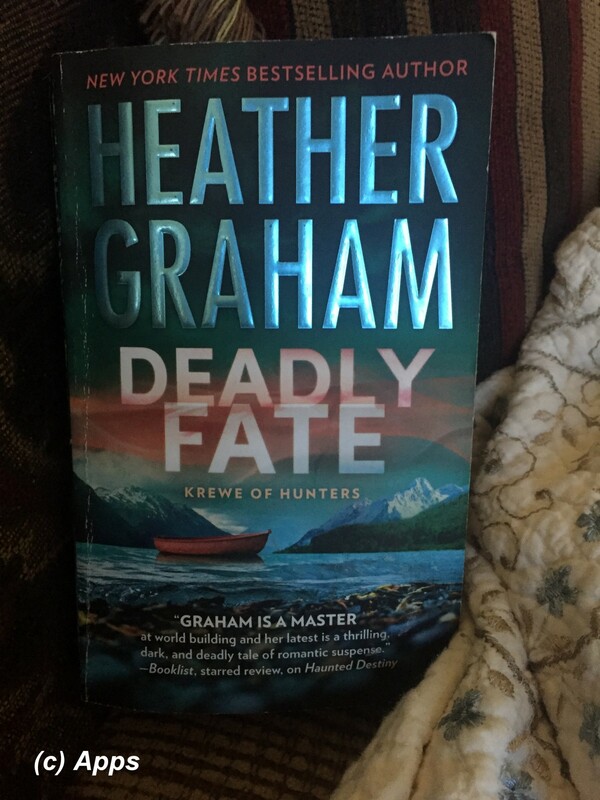 Deadly Fate is the nineteenth book in the Krewe of Hunters series by Heather Graham and published in July of 2016. The plot centers around Thor Erikson - soon to be new member of FBI's elite crew, Krewe of Hunters - and Clara Avery - an entertainer aboard Fate, an Alaskan Cruise Ship. The plot is set in Seward, Alaska to begin with and occurs a few months after the events of the previous book Haunted Destiny. This book forms the second book in the fourth trilogy within the series - first book being the previous one, Haunted Destiny; with each book in the trilogy set on a cruise ship belonging to Celtic American Cruise-Line company. This one is set on the cruise ship called, Fate. First trilogy consisted of the ninth book The Night is Watching; the tenth book The Night is Alive; the eleventh book The Night is Forever. Second trilogy consisted of the 12th book The Cursed, 13th book the Hexed and 14th book The Betrayed. Third Trilogy consisted of the 15th book The Silenced, 16th book The Forgotten and the 17th book The Hidden. 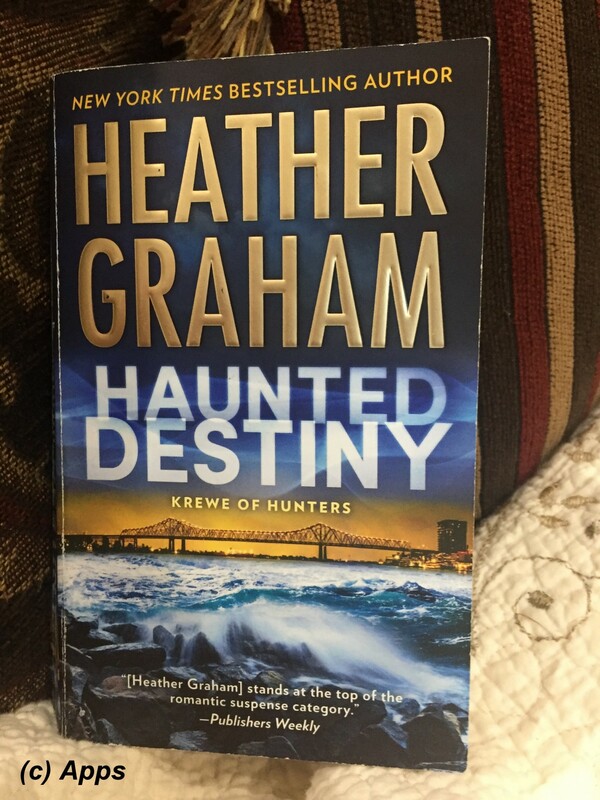 Haunted Destiny is the eighteenth book in the Krewe of Hunters series by Heather Graham and published in May of 2016. The plot centers around Jude McCoy - FBI Special Agent of the local FBI field office in New Orleans, Louisiana - and Alexi Cromwell - piano bar singer and entertainer aboard the cruise ship Destiny. This book also forms the first book in the next trilogy within the series, with each book in the trilogy set on a cruise ship belonging to Celtic American Cruise-Line company. This one is set on the cruise ship called, Destiny. First trilogy consisted of the ninth book The Night is Watching; the tenth book The Night is Alive; the eleventh book The Night is Forever. Second trilogy consisted of the 12th book The Cursed, 13th book the Hexed and 14th book The Betrayed. Third Trilogy consisted of the 15th book The Silenced, 16th book The Forgotten and the 17th book The Hidden. Recommendation: Shape-shifting Leopards, Mobsters and Love - A weird combination right? Well, it's worth reading on those lazy days or to bring you out of any kind of dull mood. 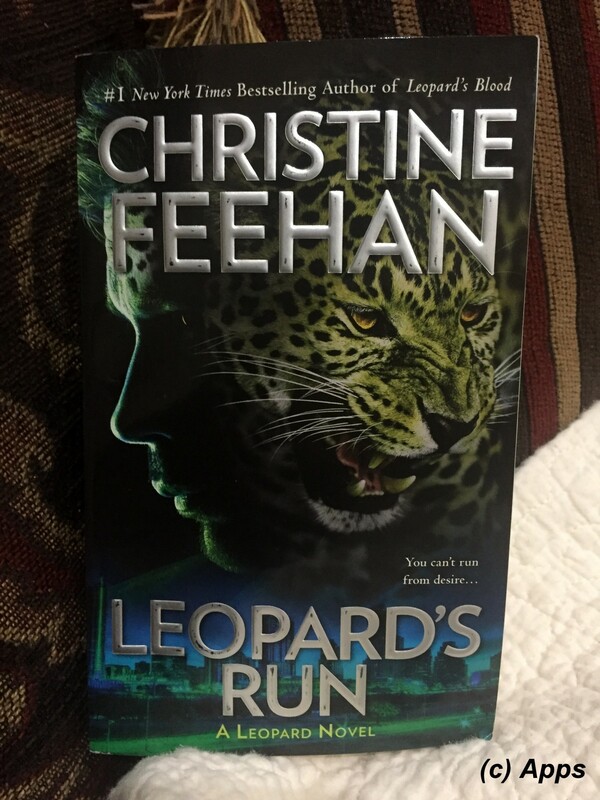 Leopard's Run is the eleventh installment in the Leopard People Series by Christine Feehan published in November of 2018. The central plot revolves around Timur Amurov - the head of security for Fyodor Amurov aka Alonzo Massi who had taken over the Arnotto territory - and Ashe Bronte - a leopard woman on the run. The entire Leopard People Series focuses on a shape-shifter species who have ability of shape-shifting to leopards. Each plot covers one couple that are destined to be mated in this lifetime just like so many lifetimes in the past. And surrounding this couple the plot expands on this species of leopard shape-shifters, their advantages as being so, their perils and how their lives move along in this 21st century. All of the plots are either set in Borneo Rain Forest - coast of South East Asia - and Louisiana and Texas in USA or eventually lead there. These leopards come from very hard and cruel lairs, but they come out on their own, find their mate, infiltrate the mobs and acquire the territories taking over them. Recommendation: Fantasy romance that brings the glitzy world of fame and the ordinary pleasures a perfect mate can give, along with the darker undersides of both worlds. Easy read for those sunny warm days, or cuddly cool days. 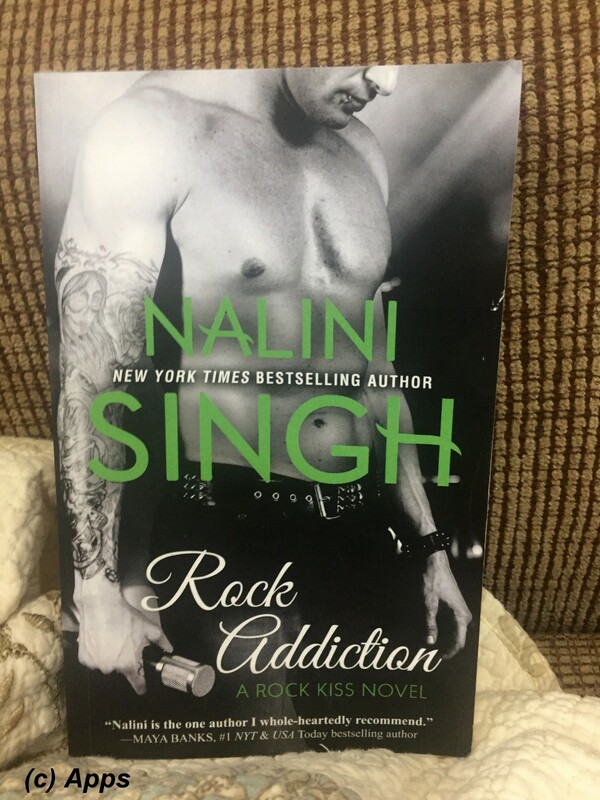 Rock Addiction is the first book in the Rock Kiss Series by Nalini Singh originally published in September of 2014. The central plot revolves around Zachary Fox - lead singer of the famous band Schoolboy Choir - and Molly Webster - younger sister of Thea, the publicist for the band. The plot is set in Auckland, New Zealand. The series revolves around the four members of the Schoolboy Choir rock band who met as school mates but form a family within themselves with music. Readers will share their personal and professional lives, their hard pasts making them the media's best bad wolves; and the leading ladies who capture the eyes of these bad wolves and like to get tamed; above all a sense of strong family, strength and support in every walk of life. 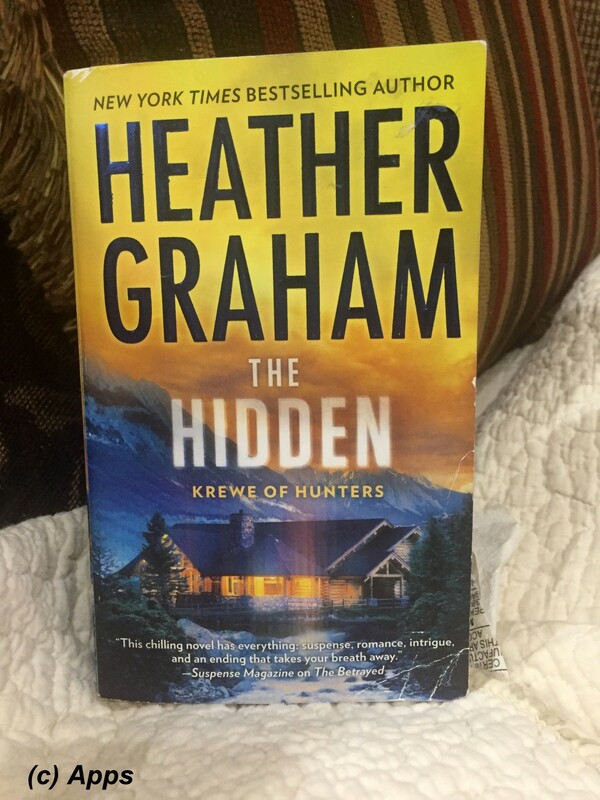 The Hidden is the seventeenth book in the Krewe of Hunters series by Heather Graham and published in September of 2015. The plot centers around FBI Special Agent Diego McCullough - newly recruited agent to the Krewe of Hunters - and Scarlet Barlow - a historian working at Estes Park, Colorado. The plot is set in Colorado and occurs right after the events in The Forgotten. This forms the third book in the third trilogy within the series - first book being the 15th book The Silenced and 16th book The Forgotten. Although not mentioned exclusively, I consider them as a trilogy as the characters kind of flow from one book to the next keeping the continuity. First trilogy consisted of the ninth book The Night is Watching; the tenth book The Night is Alive; the eleventh book The Night is Forever. Second trilogy consisted of the 12th book The Cursed, 13th book the Hexed and 14th book The Betrayed. 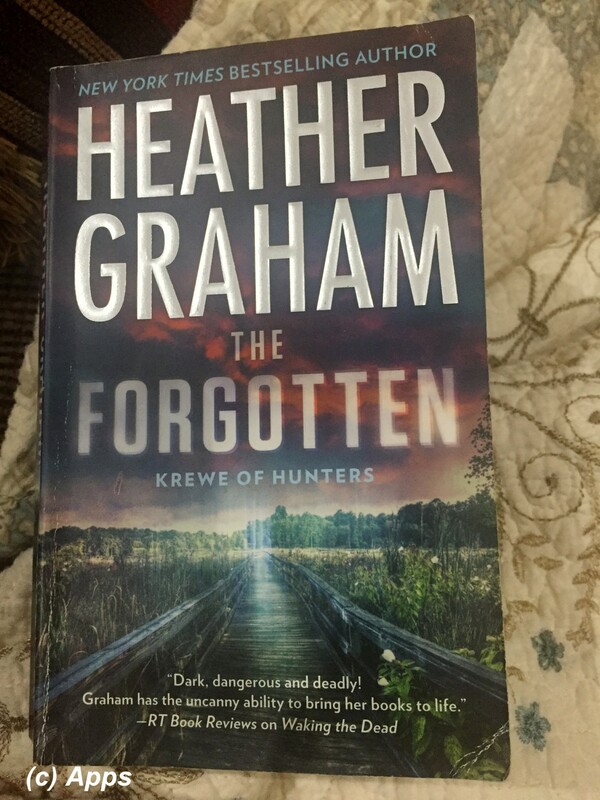 The Forgotten is the sixteenth book in the Krewe of Hunters series by Heather Graham and published in July of 2015. The plot is centered around Brett Cody - FBI Agent - and Lara Mayhew - working at the dolphin research facility. The plot is set in Miami, FL, 3 weeks after the events of the previous book, The Silenced. This forms the second book in the third trilogy within the series - first book being the previous book The Silenced. Although not mentioned exclusively, I consider them as a trilogy as the characters kind of flow from one book to the next keeping the continuity. First trilogy consisted of the ninth book The Night is Watching; the tenth book The Night is Alive; the eleventh book The Night is Forever. Second trilogy consisted of the 12th book The Cursed, 13th book the Hexed and 14th book The Betrayed. 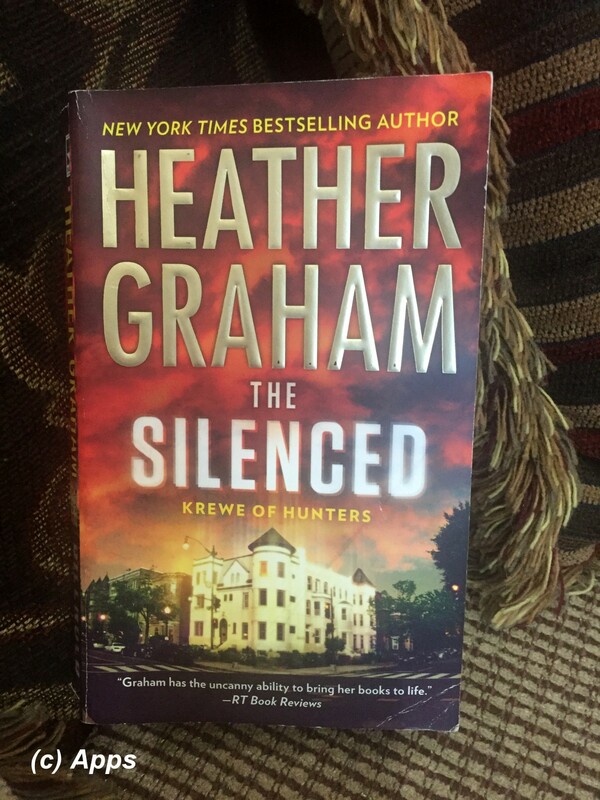 The Silenced is the fifteenth book in the Krewe of Hunters series by Heather Graham and published in June of 2015. The plot is centered around Matthew "Matt" Bosworth - FBI agent with the Krewe in Virginia - and Margaret "Meg" Colleen Murray - a recent FBI graduate who is out to find her missing friend. This forms the first book in the third trilogy within the series. Although not mentioned exclusively, I consider them as a trilogy as the characters kind of flow from one book to the next keeping the continuity. First trilogy consisted of the ninth book The Night is Watching; the tenth book The Night is Alive; the eleventh book The Night is Forever. Second trilogy consisted of the 12th book The Cursed, 13th book the Hexed and 14th book The Betrayed. Recommendation: If you like paranormal plots with hint of romance, eroticism and the other world abilities involving immortals and vampires along-side humans with super-abilities, then this is a series to go for. I liked this in particular due to its added humor. 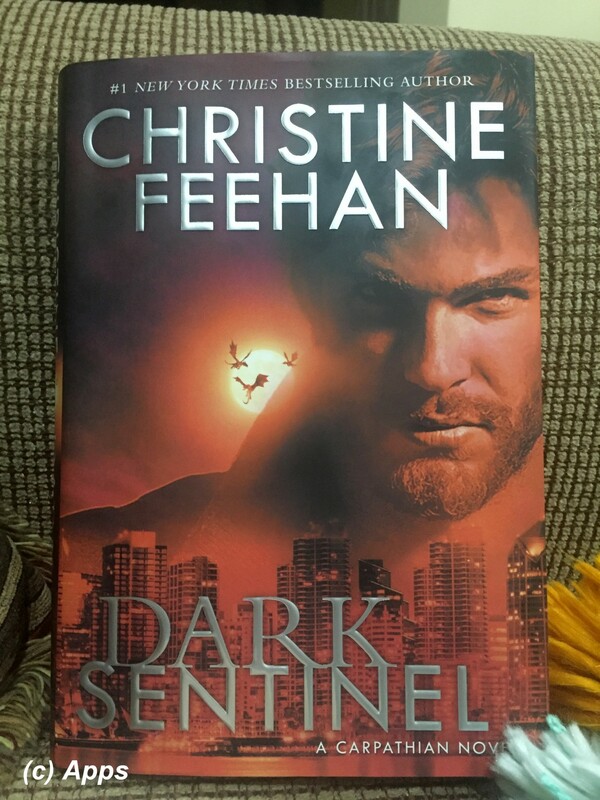 Dark Sentinel is the thirty second book in the longest series, Dark Series, by Christine Feehan which was originally published in September of 2018. The primary plot is around Andor Katona - an ancient who was living in the monastery, but now resides in CA aiding Tariq Asenguard - Lorraine Peters - a strong psychic human female, who comes to the mountains in CA to find peace. The plot sets immediately after the events that occur in Dark Legacy. Recommendation: If you like paranormal plots with hint of romance, eroticism and the other world abilities involving immortals and vampires along-side humans with super-abilities, then this is a series to go for. 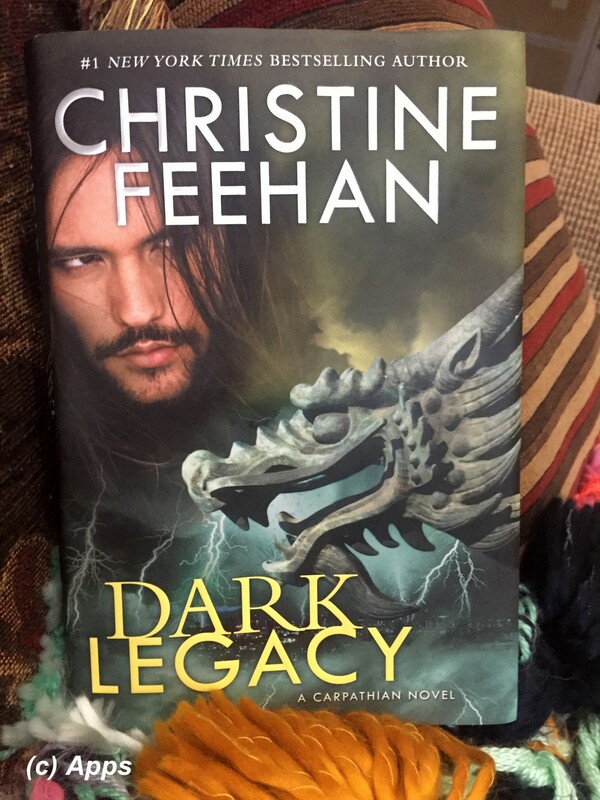 Dark Legacy is the thirty first book in the longest series, Dark Series, by Christine Feehan which was originally published in September of 2017. The primary plot is around Dragomir Kozel - an ancient Carpathian who was in the monastery in the Carpathian Mountains and now resides in Tariq's compound in CA - Emeline Sanchez - powerful psychic human female who was attacked by Vadim Malinov. The plot sets immediately after the events that occur in Dark Carousel. Kicking off my 2019 Reading Challenge with this re-review of a book that I already had read and posted, but doing it again. Recommendation: If you like paranormal plots with hint of romance, eroticism and the other world abilities involving immortals and vampires along-side humans with super-abilities, then this is a series to go for. A new threads open up taking readers to different realms of the author's mind. 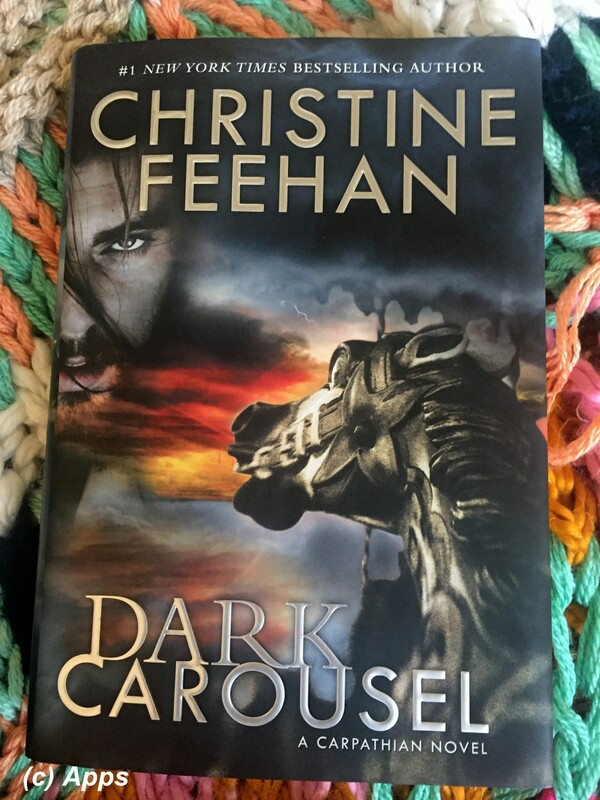 Dark Carousel is the thirtieth book in the longest series, Dark Series, by Christine Feehan which was originally published in August of 2016. The primary plot is around Tariq Asenguard - an ancient Carpathian settling in California - and Charlotte "Charlie" Vintage - restorer of old Carousels. And it is set a few weeks after Dark Crime (27th book) which makes me as a reader to conclude that Dark Ghost and Dark Promises, the subsequent books, were set in parallel to Dark Crime and little after. Recommendation: If you like paranormal plots with hint of romance, eroticism and the other world abilities involving immortals and vampires along-side humans with super-abilities, then this is a series to go for. This plot creates a new thread in the many threads this series has keeping it interesting and intriguing. 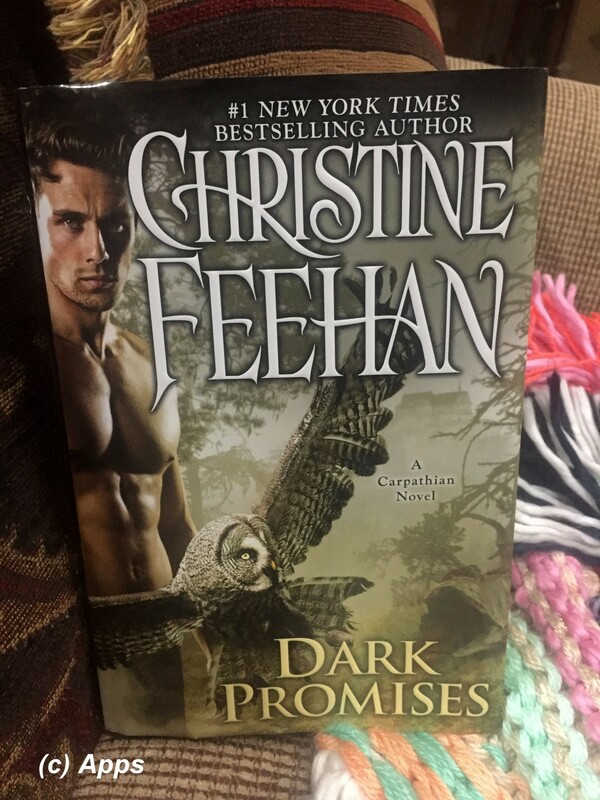 Dark Promises is the twenty ninth book in the longest series, Dark Series, by Christine Feehan which was originally published in March of 2016. The plot is again set in Carpathian Mountains and has two pairs this time - Gabrielle Sanders & Aleksei; Trixie Joanes & Fane. 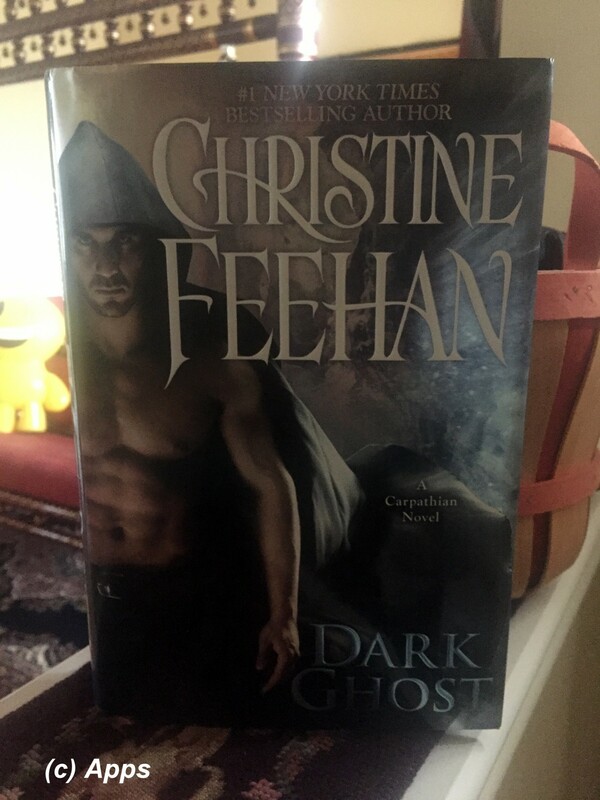 Dark Ghost is the twenty eighth book in the longest series, Dark Series, by Christine Feehan which was originally published in September of 2015. The primary plot revolves around Andre Boroi - an ancient Carpathian, brutally injured - and Teagan Jonelle Joanes - in quest of a specific stone to aid her grandmother. 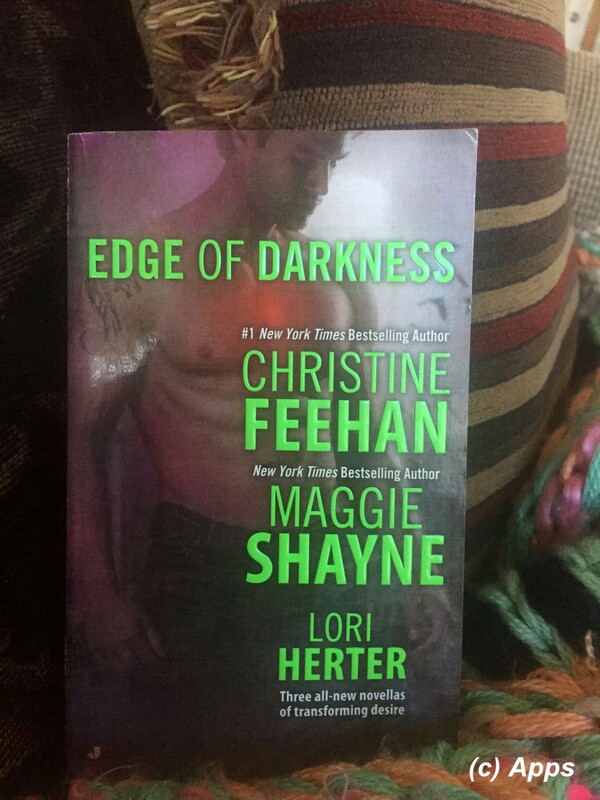 Dark Crime is the twenty seventh book in the longest series, Dark Series, by Christine Feehan which was originally published in August of 2015. The primary plot revolves around Maksim Volkov - a Carpathian and a nightclub owner - and Blaze McGuire - owner of an Irish bar with strong psychic abilities. This was first published as part of the anthology, Edge of Darkness, in 2015 before it came out as its own the following year.